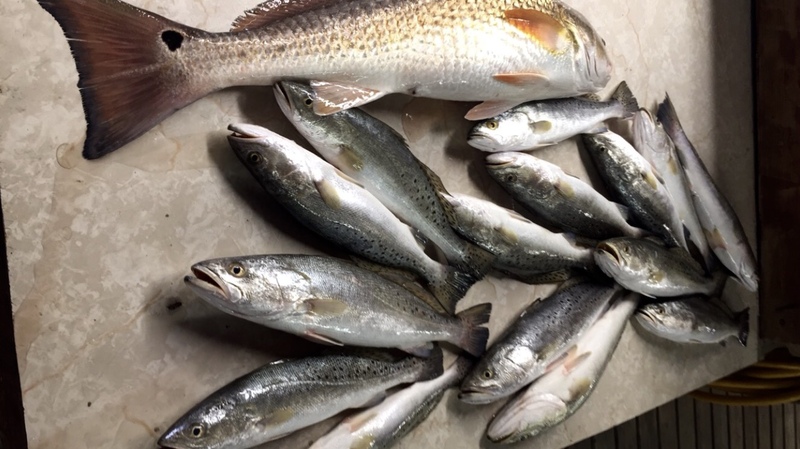 How Will Sediment Diversions Impact Fisheries in Louisiana? Prior to its leveeing and control structures, the Mississippi switched course roughly every 600 to 1,000 years, finding a more efficient route to the Gulf of Mexico as it filled with sediment. Over the course of its history, the Mississippi has had 6 Holocene delta complexes, including the most recent Atchafalaya. Each delta complex experiences stages of compaction, subsidence, and building. This delta switching, combined with the high sediment load (7th highest in the world), has resulted in the current wetland rich Louisiana coast, with 30,000 km2 of delta plain and 41% of the coastal wetland area of the United States 1. The Louisiana coast is an incredibly productive ecosystem largely because of these extensive wetlands. Numerous species of fish, birds, and invertebrates use the coastal waters for a portion of their lives and some reside there for their entire lives 2. The wetlands act as fishery nursery grounds, potentially allowing more juvenile fish to grow to catchable sized adults 3, and provide food and refuge to many species and their prey 4,5. The productivity of important commercial fisheries, including shrimp and blue crab, are closely linked to access to the marsh 6,7. Rapid land loss across Louisiana’s coast (42.9 km2 y-1 from 1985 to 2010; 8) has led to our state accounting for 80% of total coastal wetland loss in the U.S. 9. The unprecedented rate of coastal land loss has spurred historic restoration efforts in Louisiana. The Louisiana Coastal Master Plan outlines a suite of projects designed to slow land loss including marsh and barrier island creation, sediment diversions, and hydrologic restoration. The newest iteration of the Master Plan highlights the importance of using natural processes to restore the coast. One of the proposed project types in this category is sediment diversions, designed to mimic a natural crevasse (a breach in the levee of a river that allows water and sediment to flow into the adjacent wetlands). The Mid-Barataria Sediment Diversion is the keystone project of the 2017 Master Plan. Once operational, the diversion will bring pulses of freshwater and sediment into mid Barataria Basin. Diversions have the potential to build land sustainably by reestablishing part of the natural delta process; however, as salinities change, there are possible implications for fish populations that reside in the receiving basins. Several modeling studies have been conducted to attempt to predict changes to fish distribution with a diversion. These models are all based in Breton Sound and use varying volumes of water and timing of openings to generate their results, some outside the range for the Mid-Barataria diversion as currently planned. However, all the models predict that pulses of freshwater will change the distribution of fish in the estuary to some extent in the short- and long-term due to changes in salinity 10–12. In modeling the short-term, intermediate-salinity species were displaced further downstream of the diversion. Brown shrimp, for instance, may be pushed further seaward and, depending on when the diversions are run, may grow at a slower rate due to the colder, fresher water. Low-salinity species, however, increased their distribution in the estuary in the model, taking advantage of the increased freshwater 11. Certain sought after freshwater species, such as catfish and alligators, may increase their population abundance and distribution as the habitat shifts to freshwater marshes. Due to the higher optimal salinities required in spawning season and the needed open-water, hard bottom to grow on, diversions are clearly expected to affect oysters. Modeling results showed suitable oyster conditions were pushed further seaward 10, potentially moving the optimal salinities to areas where appropriate hard bottom does not exist. Because the river has been completely leveed for roughly 90 years, species have adapted to the current saltier conditions and the addition of freshwater will require fish populations to adjust to the new, fresher baseline. The freshwater pulse from the diversions will potentially begin to build a mini delta in the basin, establishing an estuary with a gradient from freshwater to saltwater. A healthy estuary can support numerous types of fish, from catfish and alligators to blue crabs and white shrimp. A major challenge of sediment diversions is minimizing the short-term impacts to fish populations while maximizing the long-term benefits of land building. The specific amount of freshwater and the timing of the openings is yet to be determined, but there are a variety of scenarios currently being studied. Many different factors are being considered for the selection including sediment to water ratio, impacts on wildlife and fisheries, and potential vegetation shifts. A group of scientists recently published a report that evaluated the most optimal operation strategies for various parameters. They concluded that there are certain times of the year when opening the diversion will cause the least harm to important commercial species. The optimal open period varied for each species, but the most common time frame was the winter months. They also recommend operating the diversion when sediment loads are the highest (having a high sediment to water ratio) and using gradual openings and closings to allow an adjustment period. 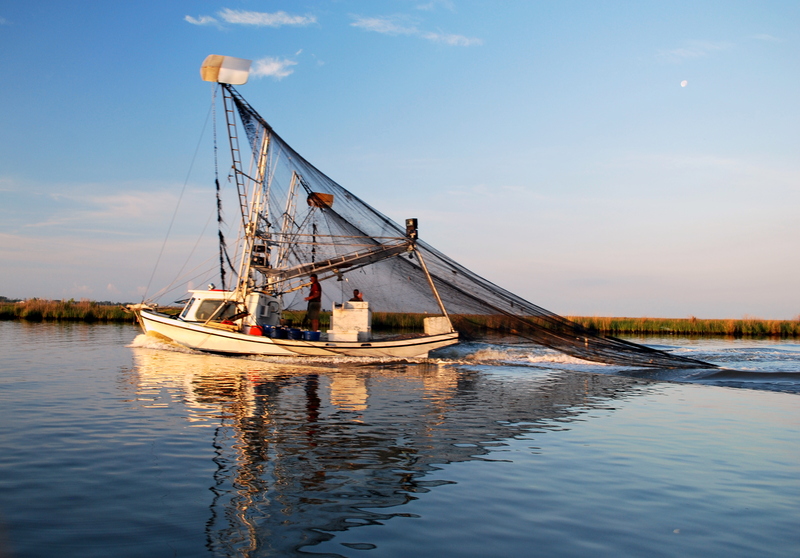 The coastal wetlands of Louisiana help supply one of the largest commercial fishing industries in the nation and with that nearly 30,000 jobs 13. Many livelihoods are dependent on the resiliency of Louisiana’s marshes and the health of the coastal ecosystem is dependent on the actions of humans. Ultimately, we will not know the exact impacts of a diversion on each species until an operation regime is selected and the diversion put online. There is the potential to mitigate impacts to fisheries by moving the most amount of sediment with the least amount of water and timing the openings to avoid sensitive life cycle stages of important species. It is not realistic to assume all impacts will be minimized, especially for organisms such as oysters. In these instances, hopefully transition and mitigation strategies can be agreed upon by all stakeholders to reduce the economic impact of diversions while gaining the greatest ecological impact for the entire system. This is part 7 of our ongoing series where our experts will answer 10 fundamental questions with new and updated information, so that reasonable and scientifically-sound decisions can be made about the long-term sustainability of the delta and surrounding ecosystems. View an introduction to this series as well as posts on sediment, vegetation, diversions, levees, and communities. Coleman, J., Roberts, H. & Stone, G. Mississippi River Delta: An Overview. J. Coast. Res. 14, 698–716 (1998). Chesney, E., Baltz, D. & Thomas, R. LOUISIANA ESTUARINE AND COASTAL FISHERIES AND HABITATS: PERSPECTIVES FROM A FISH’ S EYE VIEW. Ecol. Appl. 10, 350–366 (2000). Beck, M. W. et al. The Identification, Conservation, and Management of Estuarine and Marine Nurseries for Fish and Invertebrates. Bioscience 51, 633–641 (2001). Boesch, D. & Turner, R. E. Dependence of fishery species on salt marshes: the role of food and refuge. Estuaries 7, 460–468 (1984). Baltz, D., Rakocinski, C. & Fleeger, J. Microhabitat use by marsh-edge fishes in a Louisiana estuary. Environ. Biol. Fishes 36, 109–126 (1993). Turner, R. E. Intertidal Vegetation and Commercial Yields of Penaeid Shrimp. Trans. Am. Fish. Soc. 106, 37–41 (1977). Zimmerman, R. J., Minello, T. J. & Rozas, L. P. in Concepts and controversies in tidal marsh ecology (eds. Weinstein, W. P. & Kleeger, D. A.) 293–314 (Kluwer Academic, 2000). Couvillion, B. R. et al. Land Area Change in Coastal Louisiana (1932 to 2010): U.S. Geological Survey Scientific Investigations Map 3164, scale 1:265,000. (2011). Boesch, D. F. et al. Scientific assessment of coastal wetland loss, restoration and management in Louisiana. J. Coast. Res. 1–103 (1994). Soniat, T. M. et al. Predicting the Effects of Proposed Mississippi River Diversions on Oyster Habitat Quality; Application of an Oyster Habitat Suitability Index Model. J. Shellfish Res. 32, 629–638 (2013). Rose, K. A., Huang, H., Justic, D. & Mutsert, K. de. Simulating Fish Movement Responses to and Potential Salinity Stress from Large-Scale River Diversions. Mar. Coast. Fish. 6, 43–61 (2014). National Marine Fisheries Service. Fisheries Economics of the United States, 2009. U.S. Dept. Commer. NOAA Tech. Memo 1–172 (2010).